Where Does 'the First 100 Days' Come From, Anyway? Because arbitrary measures can lead to consistent disappointment. The countdown is on. There are 67 days left in Donald Trump’s first 100 days as president (which, if you happen to be keeping track, end on April 29). How did the first 100 days become the sine qua non of a new president’s success? Well, the story begins with an autocrat and moves to arguably the most powerful president in American history — one whose barnstorming out of the presidential gates all subsequent presidents have been trying in vain to emulate ever since. The 100-day test is obviously a completely arbitrary metric. But, like the Ten Commandments or McDonald’s dollar menu, it’s fashioned on a nice round number and has proven durable enough over the years that no incoming U.S. administration can afford to ignore it. The 100-day window actually goes back to Napoléon Bonaparte, who, between March 15 and July 18, 1815, managed to return from exile in Elba, retake the reins of power in France and mobilize a massive army — only to lose at the Battle of Waterloo and abdicate power (technically all that took 111 days, but close enough). That totemic threshold was imported to America in 1933 as newspaper reporters searched for an analogy to describe new president Franklin Delano Roosevelt’s remarkable first days in office. Assuming control in the midst of an economic depression in which banks were closing, businesses were running out of cash and the unemployment rate was skyrocketing, FDR spent his first 24 hours, among other things, delivering an iconic inaugural address (“The only thing we have to fear is fear itself”) and taking swift action to calm the roiling financial waters by declaring a four-day bank holiday and preparing the Emergency Banking Act. 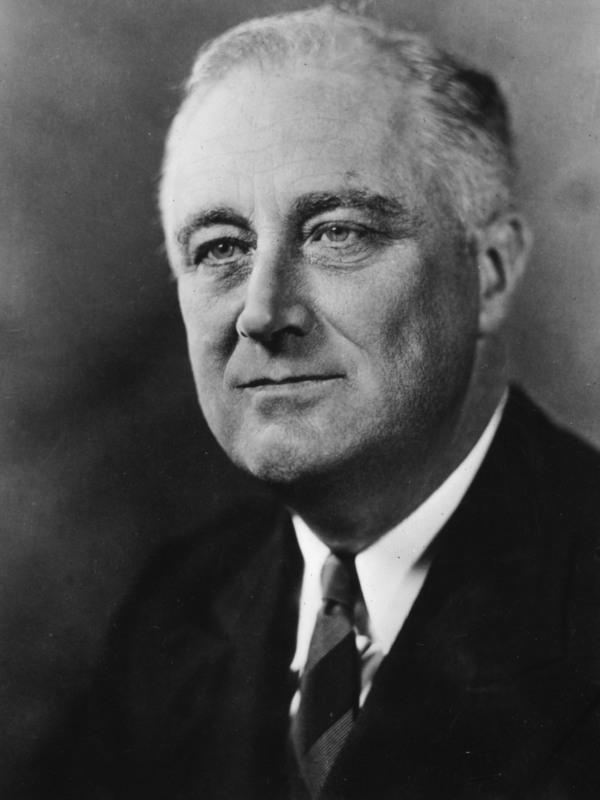 Roosevelt may have pulled the U.S. back from the brink of financial collapse, but as historian William Leuchtenburg chronicles in his book In the Shadow of FDR: From Harry Truman to Barack Obama, he established rather unrealistic expectations for the honeymoon periods of future presidents, who have followed his performance with varying degrees of success. A divided Congress and the Bay of Pigs fiasco in Cuba helped undermine John F. Kennedy’s first days in office. Assuming the presidency after Kennedy’s assassination, however, JFK’s vice president, and seasoned D.C. dealmaker, Lyndon Johnson invoked the fallen Kennedy to push through a number of legislative proposals, from tax cuts to the initial planks of the war on poverty. Ronald Reagan, whom The New York Times claimed at the time had “the most dramatic first 100 days since FDR,” began his term in office in 1981 with a whirlwind of activity — from the release of U.S. hostages in Iran to getting a historic tax cut bill through a Democratic House of Representatives — even if what many Americans remember most about that time frame is John Hinckley Jr.’s assassination attempt on the president on March 30 as Reagan left a Washington hotel. The next two-term president, Bill Clinton, had ambitious plans for his first 100 days but got off to a very rocky start. Indeed, by the end of his first week in office, Clinton was already mired in controversies over his executive orders, gays in the military and the marginalization of the media. Moreover, Clinton’s Cabinet choices were, says Northeastern University professor Daniel Urman, “to put it mildly, a disaster,” starting with the botched attorney general nomination of Zoë Baird (who had broken tax and immigration laws in hiring a Peruvian nanny).